Celebi has arrived in Pokemon Go, but to catch the mythical creature you’ll need to complete a special research quest: A Ripple in Time. 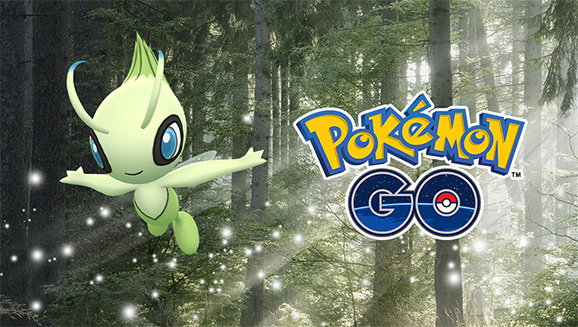 The special research quest for Celebi is very similar to the one that allowed players to catch Mew in early 2018, taking place as a ‘Special Research Quest’ as explained in our guide to Pokemon Go Field Research Quests. That guide deals primarily deals with the rotating monthly ‘field research’ you pick up from Pokestops, however – while Special Research is its own unique thing that has its own very specific mythical reward – Mew for the first string of missions, then Celebi for the second. As mentioned above, catching yourself a Celebi in Pokemon Go requires you to tackle the ‘A Ripple in Time’ special research event quest, but access to that quest isn’t there from the word go. Instead, you’ll have to first get to a certain point in the Special Research quest for Mew, ‘A Mythical Discovery’. Mew’s quest will be available right from when Special Research Missions first open up, and you’ll need to advance the Mew quest line to its fourth stage before the Celebi quests unlock. If you’re already at that stage or further, the Celebi A Ripple in Time quest line will be ready to go for you. 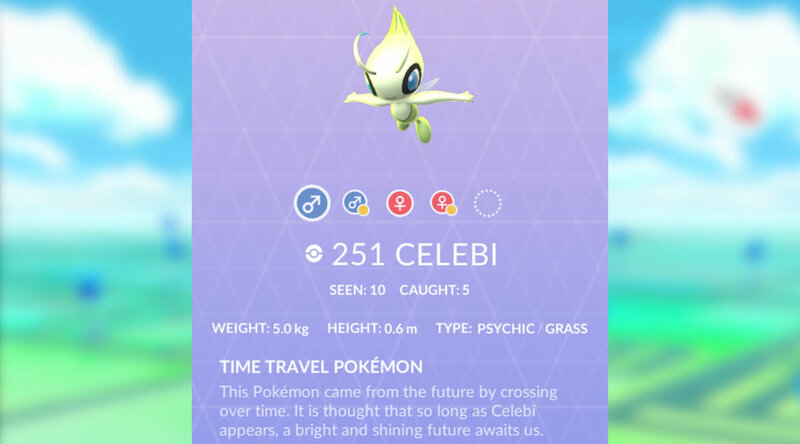 Unlike Field Research quests, the quest steps for Pokemon Go’s Celebi missions are fixed the same for every player – there’s no element of random chance here, instead eight different quest phases, each with three missions and associated rewards. Completing one phase will open up the next, and completing all eight stages will then give you the chance to catch Celebi and a bunch of candy for the mythical creature. Here’s the quest steps for the Pokemon Go Celebi Quest ‘A Ripple in Time’, complete with objectives and rewards. Remember, you’ll need to complete all three missions on any given phase of the missions in order to then unlock the next set. Reward: 5500 Stardust, Super Incubator, 20 Celebi Candy.